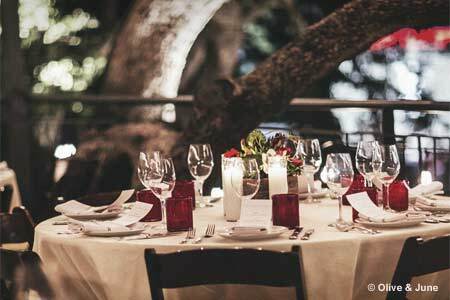 Is it the tree-top setting or the modern Italian cuisine that's the top draw at this Austin restaurant? Or does it really matter? : Shawn Cirkiel is chef/owner of a few of Austin’s top dining establishments, but none is as beautiful as Olive & June, named after the grandmothers of Cirkiel and his wife. The seemingly simple yet refined menu reveals itself in layers, much like the three-story restaurant itself. Two indoor dining rooms are nearly all windows, so as not to miss out on the two outdoor dining areas that are situated amid the limbs of a massive 200-year-old oak tree. The pace is leisurely, and the service attentive. We recommend starting with the house polenta and foraged mushrooms topped with a barely cooked farm egg. While there are steaks, fish and lamb for a main course, pasta is always our choice, such as the triangoli with lamb and a wild balance of orange, eggplant, mint, fennel, olives and Romano. The versatile wine list boasts Austin’s largest collection of Italian numbers, with a distinct spot for Amarones. Specialty cocktails are a favorite among locals and regulars.